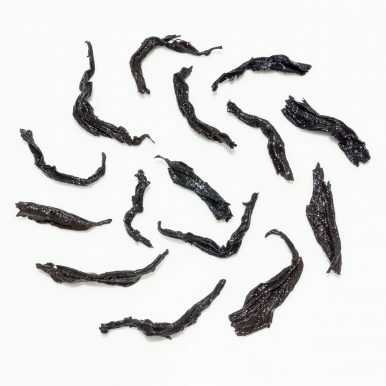 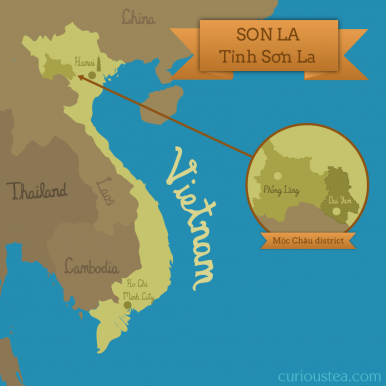 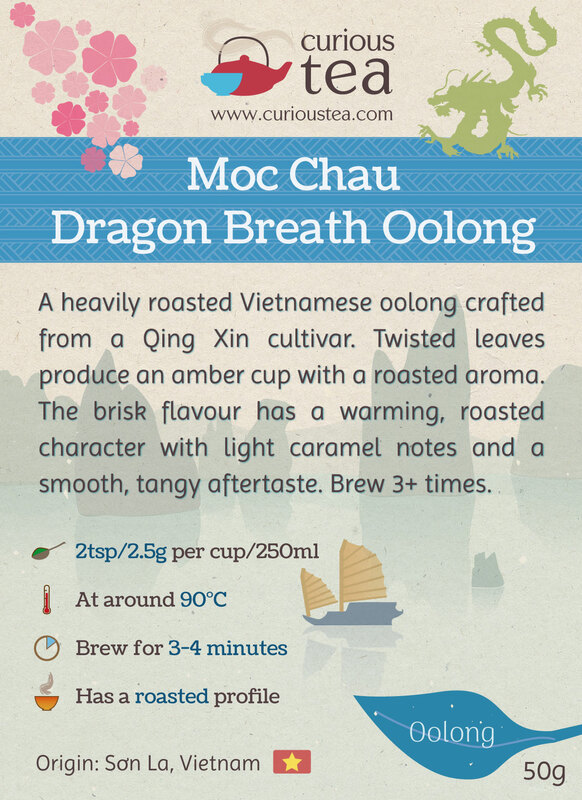 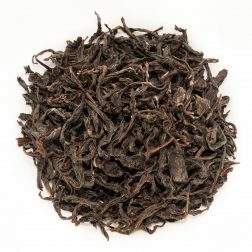 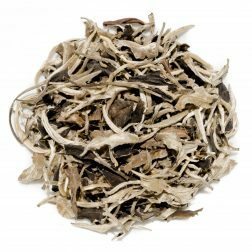 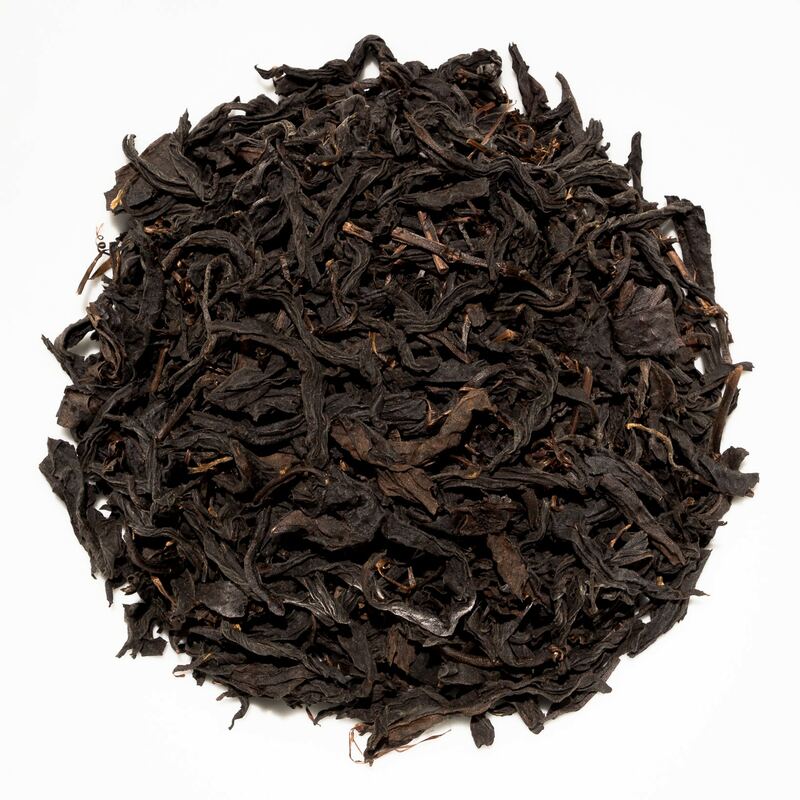 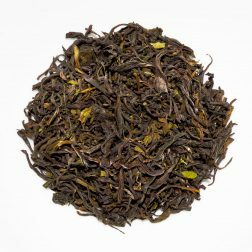 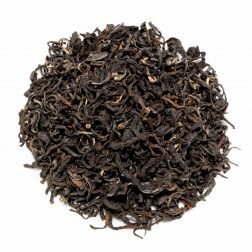 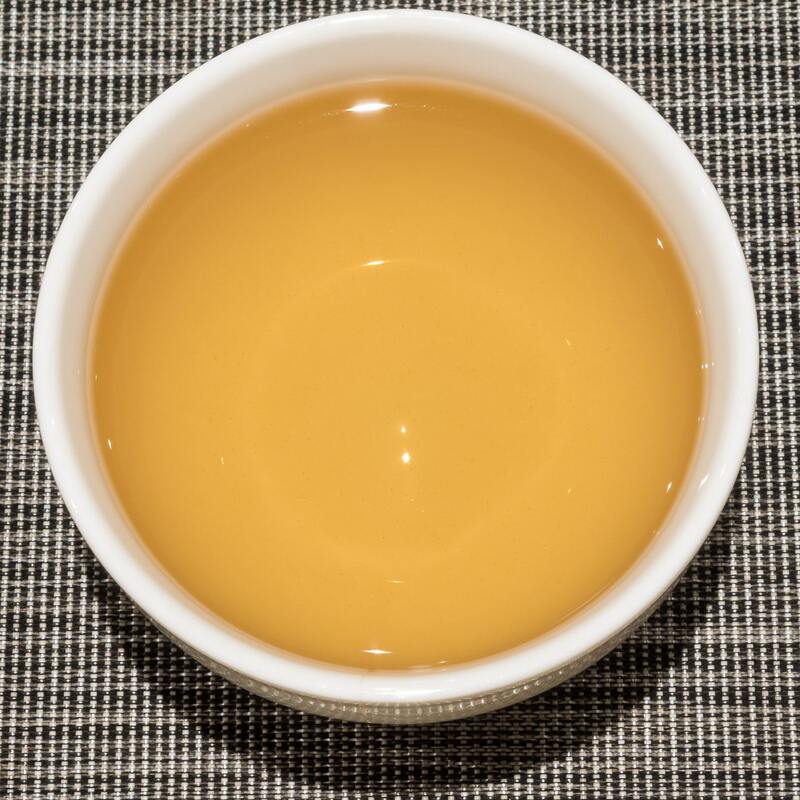 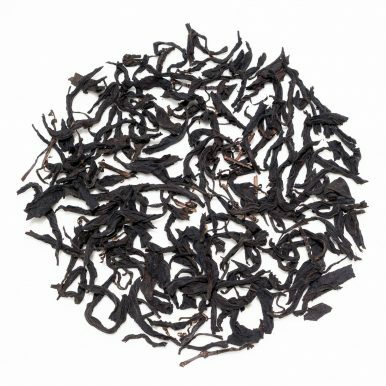 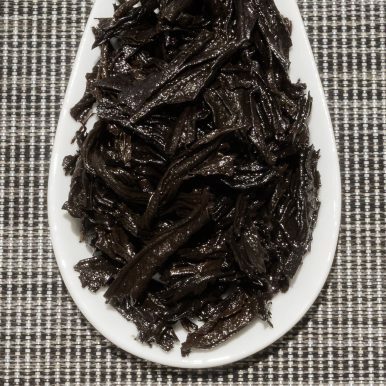 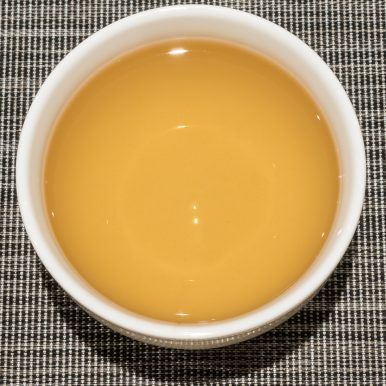 Moc Chau Dragon Breath Oolong is a heavily roasted Vietnamese oolong crafted from a Qing Xin cultivar. Twisted leaves produce an amber cup with a roasted aroma. The brisk flavour has a warming, roasted character with light caramel notes and a smooth, tangy aftertaste.